Hydrangea workshop. OSU Extension in Coshocton County is offering a Hydrangea School April 30 at the at the Coshocton County Services Building, Room 145, 724 S. Seventh St. in Coshocton, Ohio, from 6:30 to 8:30 p.m.
Join OSU Extension Educator Eric Barrett to discover the world of hydrangeas. Learn about types, care, pruning and bloom times. You’ll receive a reference chart to take to the garden center and a hydrangea plant to take home. The registration fee for this workshop is $30 per person. Make checks payable to OSU Extension. Mail to Coshocton Extension office, 724 S. Seventh St., Room 110, Coshocton, Ohio 43812. Registration includes handouts, light refreshments and a hydrangea plant to take home for your landscape. Due to space limitations, this program will be limited to the first 50 registrants. Call the Coshocton County Extension at 740-622-2265 for more information. Indian wheel gardening. There will be an Indian wheel gardening program, April 11, 4:30-5:30 p.m., at Woodcock Creek Nature Center, 21742 German Road, Meadville. Learn how to plant a wheel garden using four quadrants. Valerie Walton, Penn State Master Gardener, will lead the program. Terrarium workshop. Registration is now open, but limited, for Geauga Park District’s Spring Terrarium Workshop, April 12, 6 to 8 p.m., at Claridon Woodlands’ Judge Lester Taylor Lodge. For $40, which includes all materials, instruction by artisan Holly Michniak, and refreshments, fill a glass terrarium with live plants and decorative accents. Ages 10 and up. To register, visit www.geaugaparkdistrict.org or call 440-286-9516. Tree identification. Learn how to identify native and popular trees and woody plants at the Geauga Park District’s West Woods Park and Nature Center, April 13, 10 a.m.-noon. Bring samples or photos of trees or shrubs that stump you. Weather permitting, there will be a hike. Chesterland plant sale. Perennial Gardeners of Chesterland, annual plant sale, May 11, 8 a.m.-2 p.m., Chester Town Hall, 12701 Chillicothe Road, Chesterland. Rain or shine. Perennials, annuals, shrubs, herbs and hanging baskets. Shop the Garden Shed for old, repurposed and new finds. Daffodil Weekend. Mill Creek MetroParks will hold Daffodil Weekend April 13, 1-5 p.m., and April 14, 10 a.m.-5 p.m. inside the Davis Center at Fellows Riverside Gardens, 123 McKinley Avenue, Youngstown. The daffodil show is free and open to the public. Daffodils can be entered into the show April 12 from 3-5 p.m. and April 13 from 8-10 a.m. Judging will begin at 10:30 a.m. and conclude at 12:30 p.m. Visitors can take a guided walk through the gardens April 13 at 1 p.m., or a Cohasset Express trolley ride to Daffodil Meadow April 14 at 12:30 p.m. or a hike to Daffodil Meadow at 2 p.m.
For more information, call Fellows Riverside Gardens at 330-740-7116 or visit www.millcreekmetroparks.org. Plant and Pest Clinic. Plant and Pest Clinic is open all year and staffed by Master Gardener Volunteers now through Oct. 31. They research and identify insects, find the problem with sick pepper plants, explain blackened spots on tomatoes, investigate brown-spotted lawns and assist with many other garden problems each year, and all at no cost to the community. For more information, call 330-533-5538, visit the OSU Extension office, 490 S. Broad St., Canfield, Ohio, or check the website at mahoning.osu.edu. Herb and plant sale. 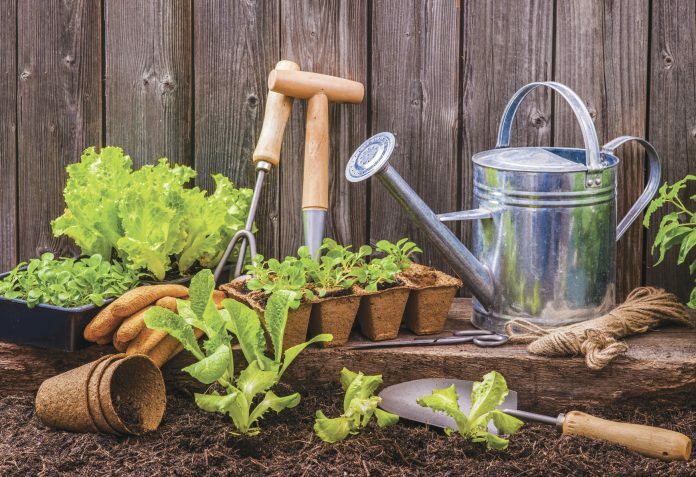 The Holborn Herb Growers Guild will hold its herb and plant sale May 18 at the Canfield Fairgrounds Vegetable Building, 7265 Columbiana-Canfield Road (State Route 46), Canfield, Gate 5, from 9 a.m. to 3 p.m. The sale will feature a large selection of herbs, perennials, succulents, fairy garden plants and twice loved perennials. A book sale will feature gardening and herb books. It also will sell cookbooks, including the Holborn Herb Growers Guild cookbook Herbal Fare. The sale is free and open to the public. Only cash or checks will be accepted. Call co-chair Virginia at 330-406-0364 or Carol at 330-720-7142 with questions. Children’s workshop. Incredible Edibles is scheduled for May 5 from 2 to 4 p.m. at Wolf Creek Environmental Center, 6100 Ridge Road, Sharon Center, Ohio. Cost is $6 per participating child. Parental or adult supervision is required for the duration of the program. Registration forms can be found online at medina.osu.edu under events. Pre-registration is required. Registration deadline is April 26 or until class is full. Plant sale, gardening seminars. The Wilderness Center’s native plant sale will be April 27, 9 a.m.-4 p.m. and April 28, 1-4 p.m. at 9877 Alabama Ave. SW, Wilmot, Ohio. Gardening seminars will also be April 27. Cost is $5 per session, payable at the door. Free Wildflower Walk, 2:15-3:30 p.m., Paula and Tim Lavey. Plant sale. The Norma Johnson Center is selling hanging baskets (geranium, impatiens, wave petunias, fuscias, Boston ferns) and flats of flowers (impatiens, petunias, marigolds and begonias) for $15 each. A variety of potted herbs (basil green bouquet, common rosemary, creeping thyme, lemon verbena, Italian parsley, chocolate mint, cilantro, sage golden, spearmint, lavender munstead) for $3.50 each will also be available. Orders are being taken up to May 2. A chicken barbecue will be held May 11 on the day of plant pick up. Orders for dinners can also be placed with your plant order. Dinners are $10 each and include chicken half, baked beans, potato salad, roll, drink and dessert. The barbecue and Plant Sale pickup will take place at the Yellow Pole Barn of the Norma Johnson Center, state Route 39, Dover, Ohio. Plant sale order forms can be downloaded by visiting the normajohnsoncenter.com website under news. Contact Marsha Freeland for questions at 330-339-7976. Spring walk. There will be a guided spring walk April 24, 2-3 p.m., Seaman Orientation Plaza, Secrest Arboretum, OARDC, CFAES Wooster Campus, 1680 Madison Ave., Wooster. Features early blooming plants and other signs of spring. The walk is free. For details, call 330-263-3761 or visit go.osu.edu/cnhz. Plant sale. Westmoreland County Master Gardener Plant Sale will feature annuals, herbs, vegetables, perennials, ornamental grasses, native plants, some woody plants and more. The sale will be May 11 from 8 a.m. to 1 p.m. at 214 Donohoe Road, Greensburg, Pennsylvania. Master Gardeners will be on hand to assist with selection. Soil tests and help clinic available. Soil Test kits are $9. For questions, call 724-837-1402. Previous articleCan you name this week's antique tool?